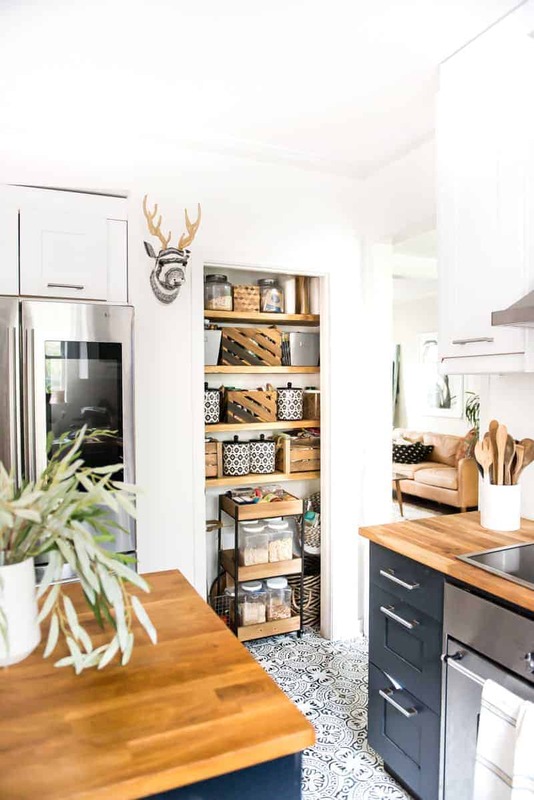 Open Pantry? Or shot the door and forget it? Yes, you read that right! Which one is your perfect choice? This is a sponsored post by Tuesday Morning. All opinions are 100% on my own! Well, well! Let me tell you guys! 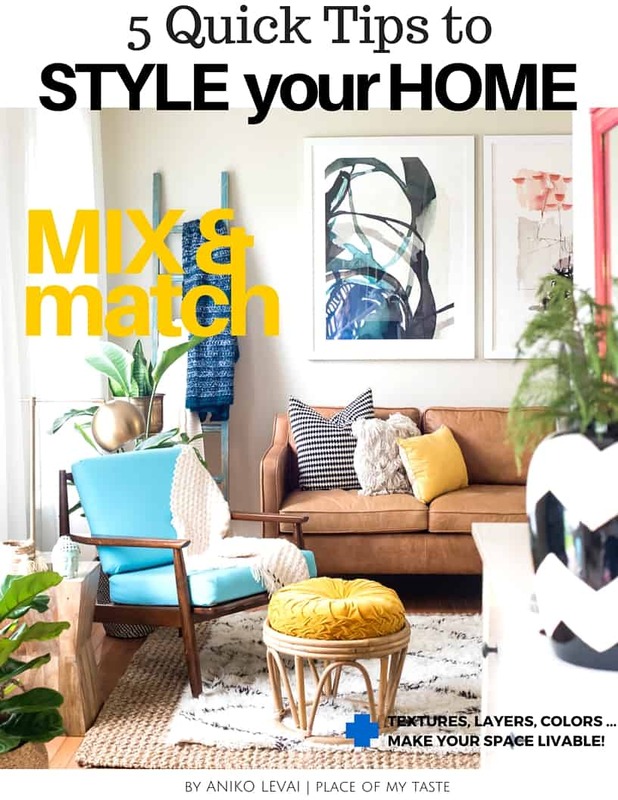 You can quickly transform a FORGOTTEN space with only a few new accessories to make a huge difference! 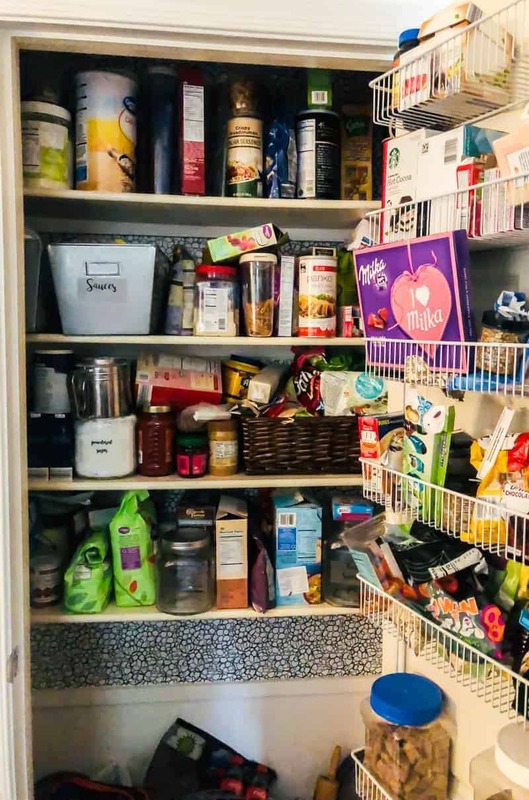 Today I will show you how I changed my FORGOTTEN pantry from messy to beautiful, thanks to Tuesday Morning! But first, let me confess here! I was the SHOT THE DOOR and forget it gal. Always! 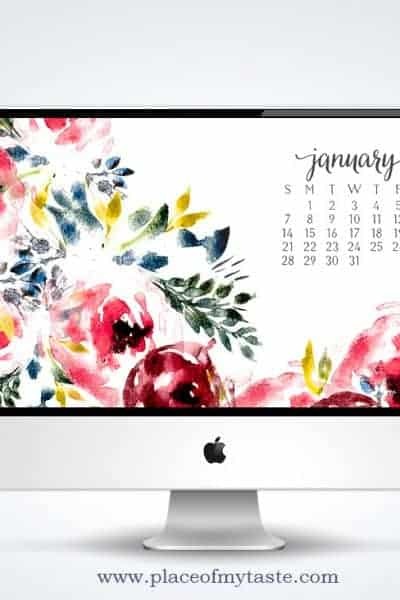 Until I realized that the only way to stay organized for me was to keep things in sight! 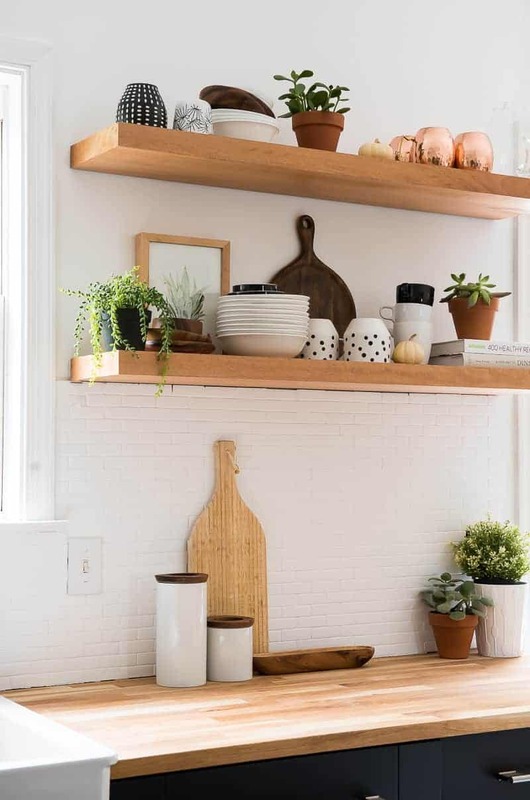 A few years ago we took off the cabinets in my kitchen, and we added floating open shelves, and it was the BEST decision I have ever made. 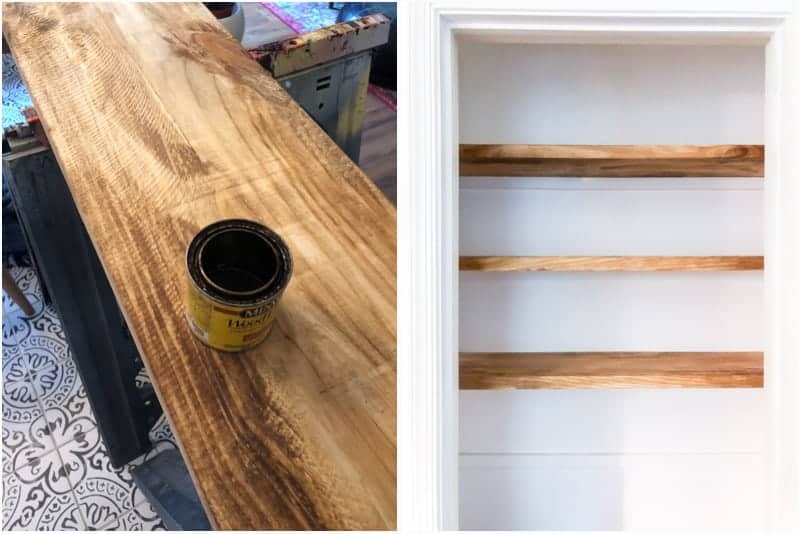 My open kitchen shelves have been amazing, and I, could not love them more! Why? I love it because everything I use on a daily basis is right there at my fingertips. And the other plus to the open shelves is that I HAVE to keep them organized! Yes, I think of it as a PLUS! 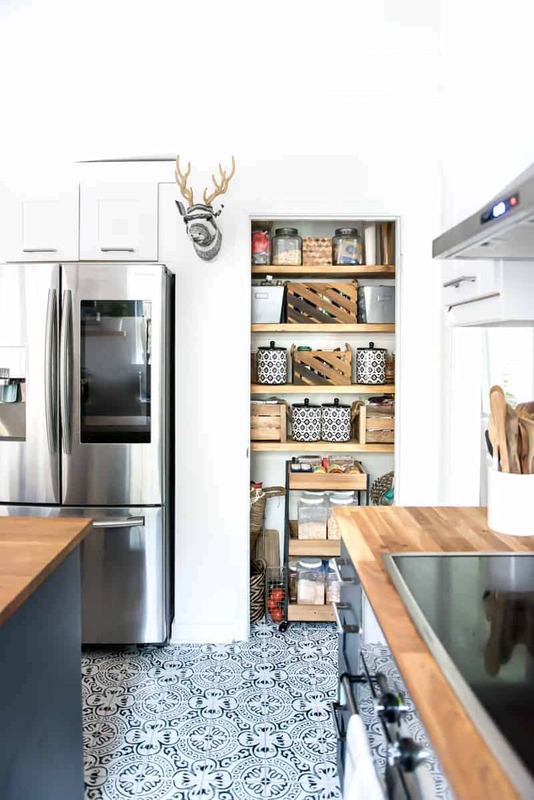 What if I take off my pantry door (!!!) and I would have an OPEN PANTRY? 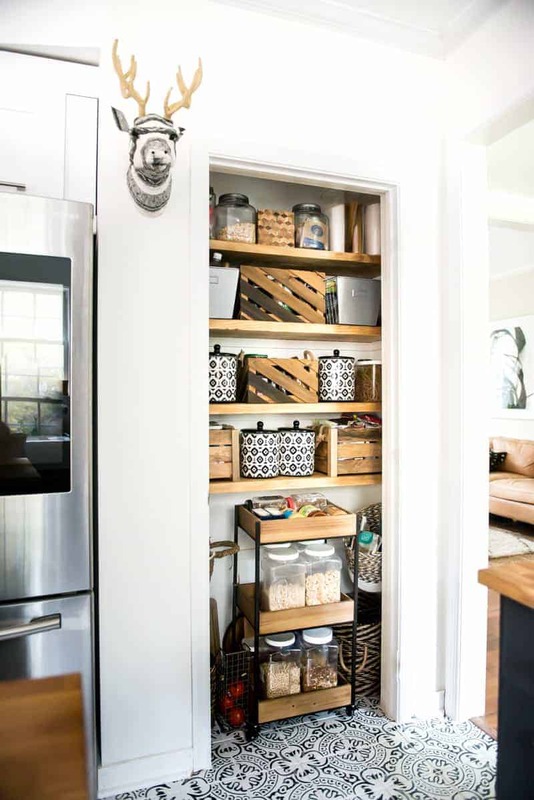 And what if I would add open chunky pantry shelves to match my open kitchen shelves to my pantry? Would it be possible to keep that space organized? 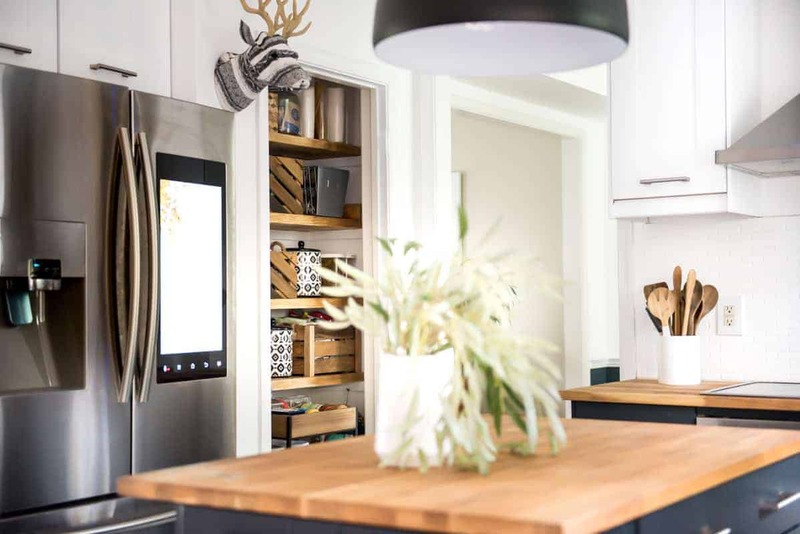 I was dealing with madness behind my pantry door….and I was eager to change that! Embarrassing! Isn’t it? But as embarrassing as it is, I know I am not alone with the struggle, and I know this post will help some of you think outside of the box. 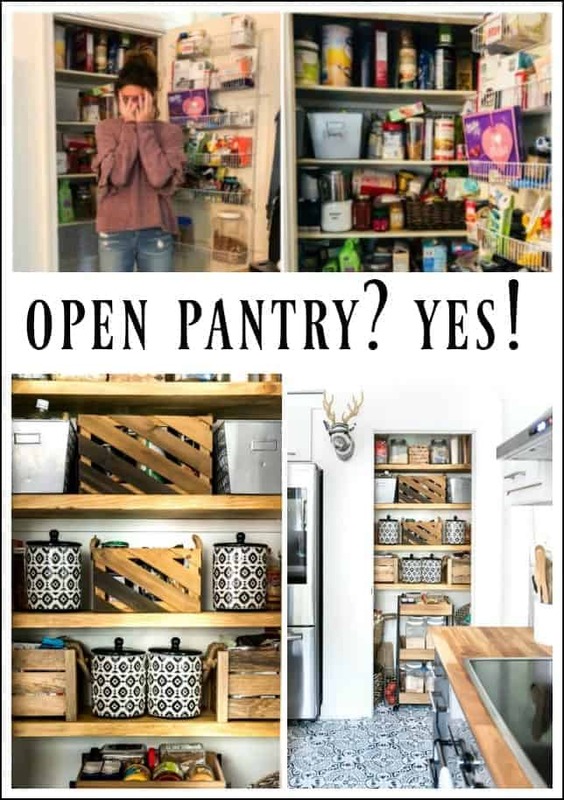 I know this OPEN PANTRY idea is not for everyone but I think you can make it work. It was almost impossible to find ANYTHING in my pantry. And not to say, that I had at least 2-3 bags of everything because I could not see through the mess and I kept purchasing things! What a waste! 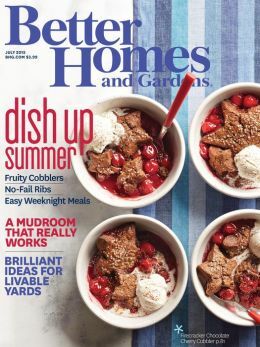 Oh and here is an article on how to organize your kitchen if you really want to get in the mood! I used 2 in. x 6 in. x 16 ft. #2 and Better Kiln-Dried Heat Treated Spruce-Pine-Fir Lumber. It was $9 for a board and a 10 feet long board made 2 shelves. I took a trip to a nearby Tuesday Morning, and you guys! I found everything I needed. 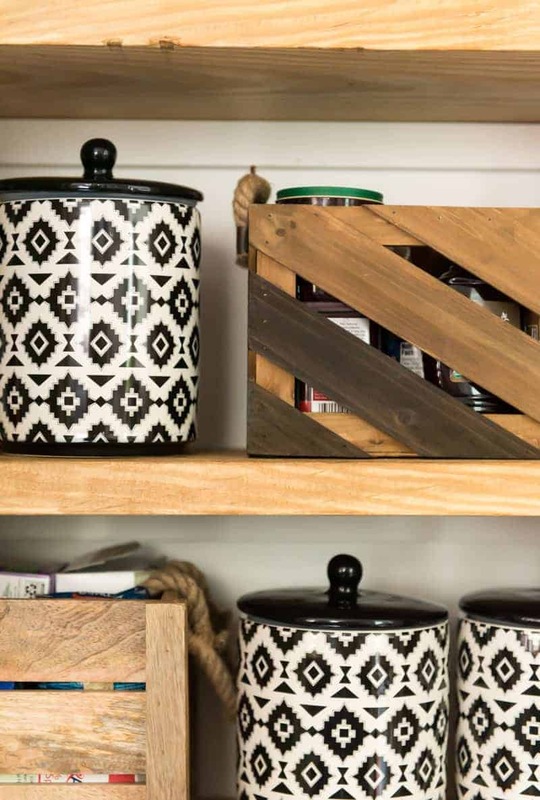 I could not be happier as it was a one-stop shop for all my pantry organizing needs! I took off the ugly wallpaper and added new shelves to the pantry. What a difference already, right? Then I purged so many things, and I organized everything to crates, canisters, baskets, and bins! 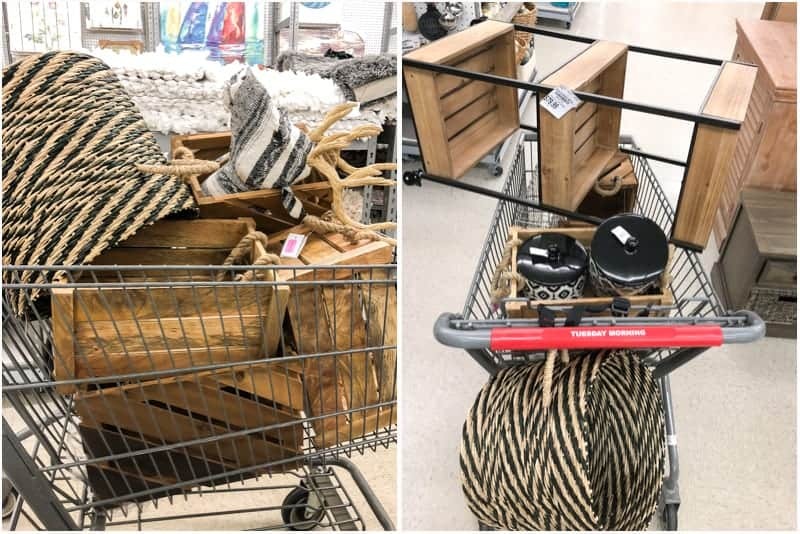 I found these awesome crates, and they are perfect for sorting things into them. I also spotted this wooden shelving unit that was perfect to place under my shelves. My kids are super self-sufficient now, and they can make their breakfast without needing mommy, so I had to make sure that the cereals are within reach for them. 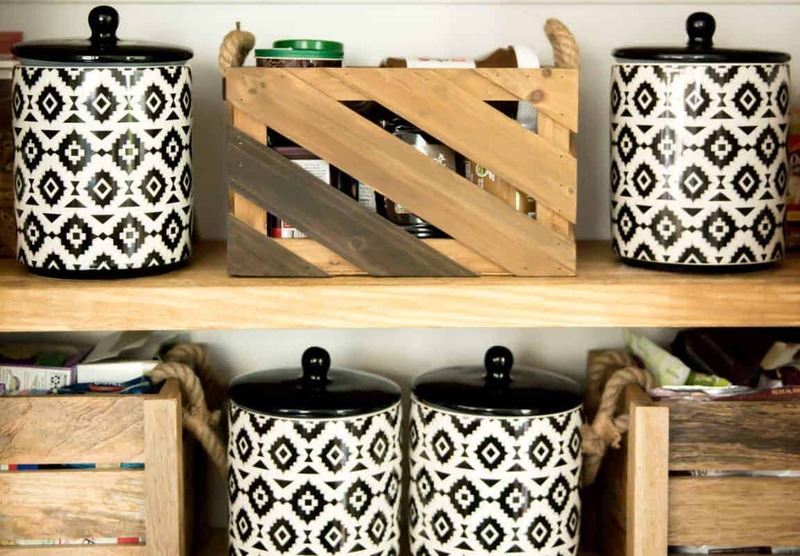 And look at those chic black and white canisters! LOVE LOVE LOVE them! I store oatmeal, sugar, flour and such in them. 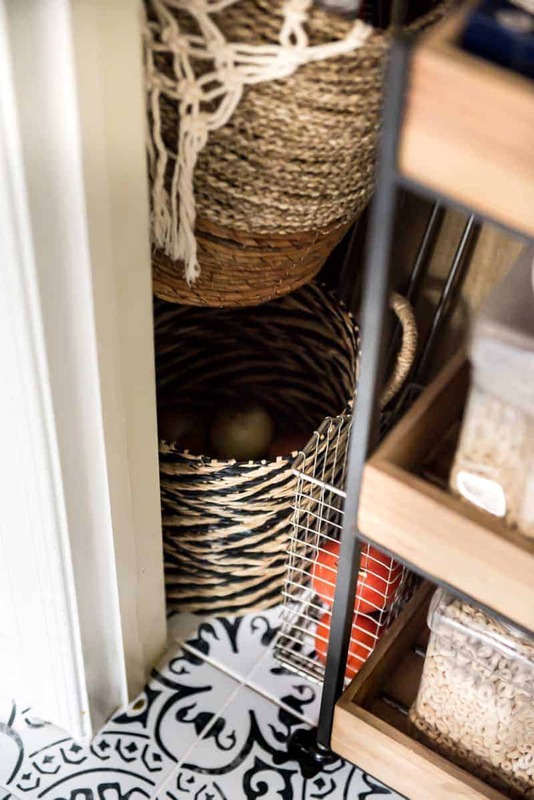 I hung a few baskets on the side of the pantry to store potatoes, onions, chips, open bags and extra stuff that otherwise would be laying around the kitchen counter. And this dude…Oh man! He had to come home with me! Seriously! 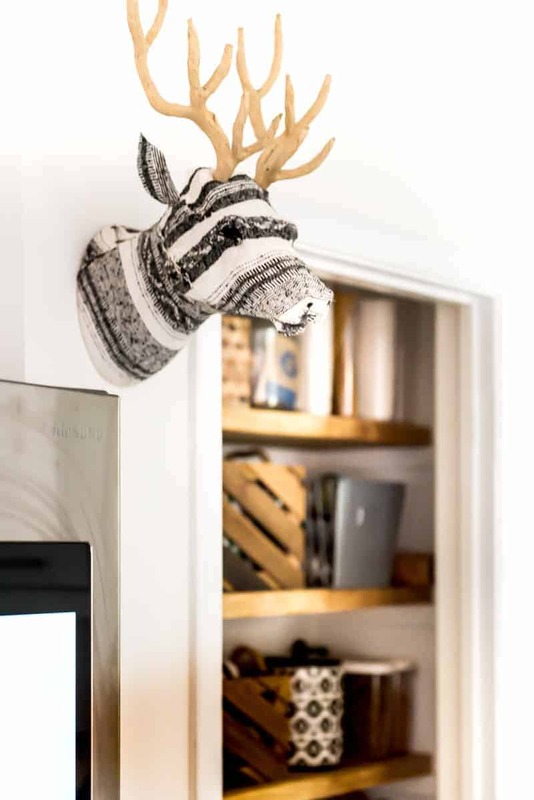 You know how much I adore deer heads… this one was a unique one that fits into my aesthetic perfectly! What can I say, friends? 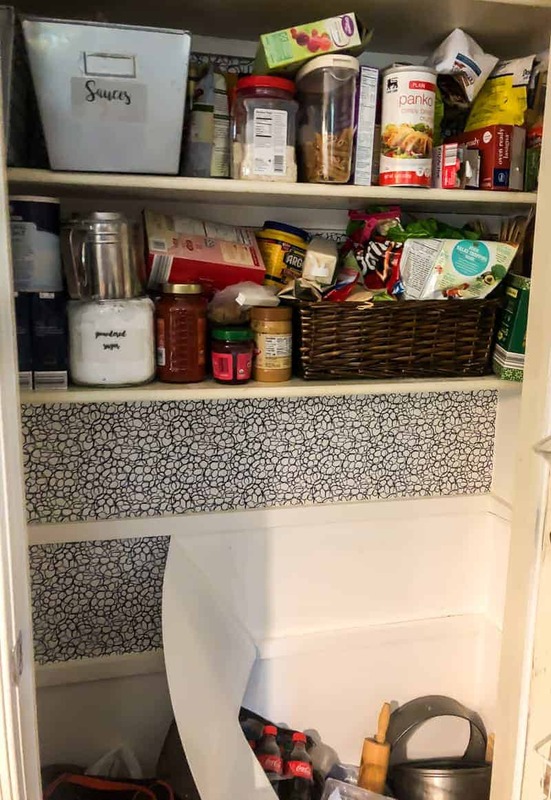 Do I love my new OPEN PANTRY? 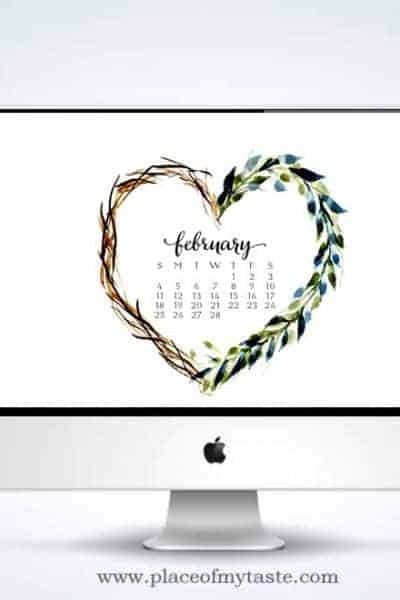 PIN IT FOR LATER SO YOU CAN FIND THIS POST WHEN YOU ARE READY TO GET ORGANIZED! 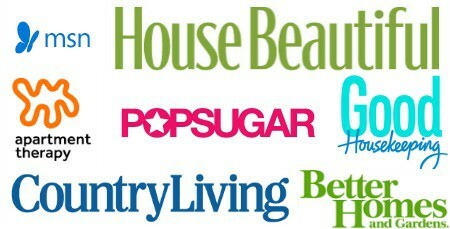 Find the nearby TUESDAY MORNING, HERE IS THE store locator, and shop away, friends! 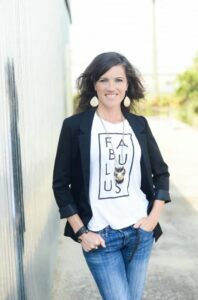 I hope I inspired to get on your next project and you will transform a space today! Hi! 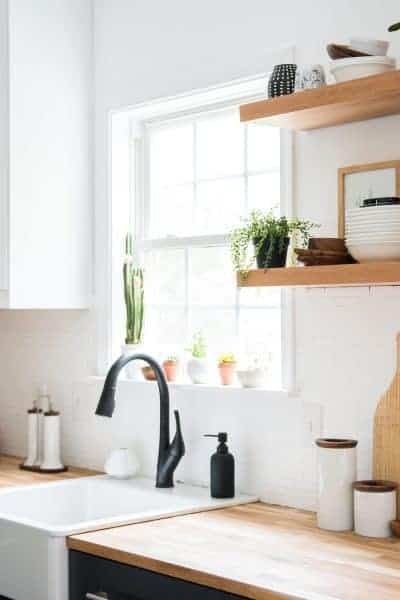 I’m looking to find the post on your wood ikea kitchen counter tops and what you coated them with. Help! Looking to do the same thing! 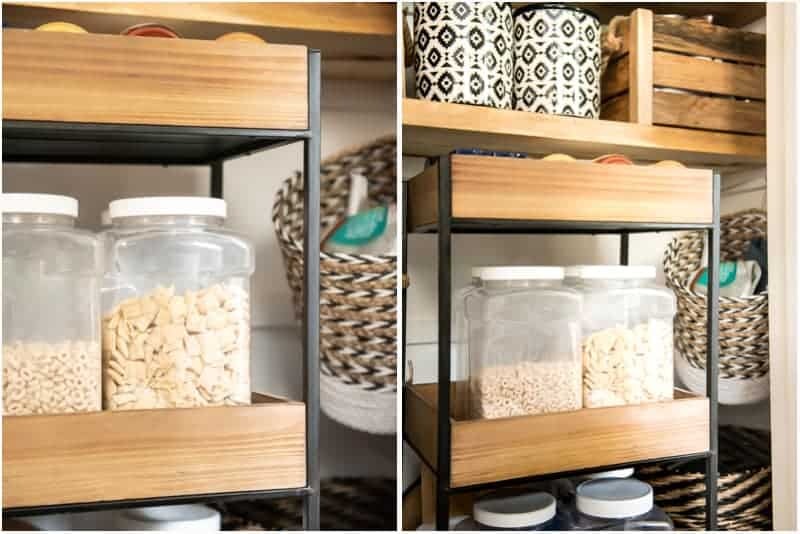 Looking at this made me super inspired I wanted to organize my pantry right away! 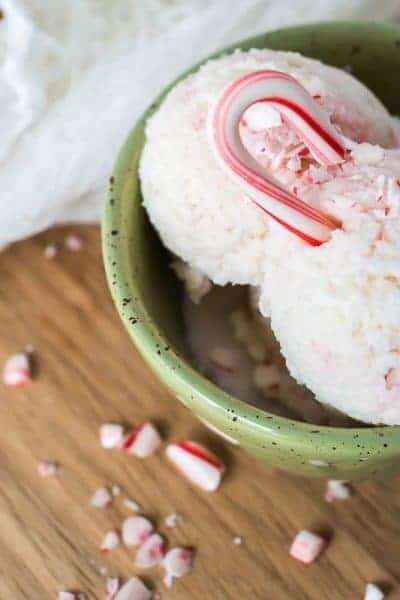 This looks amazing Aniko! 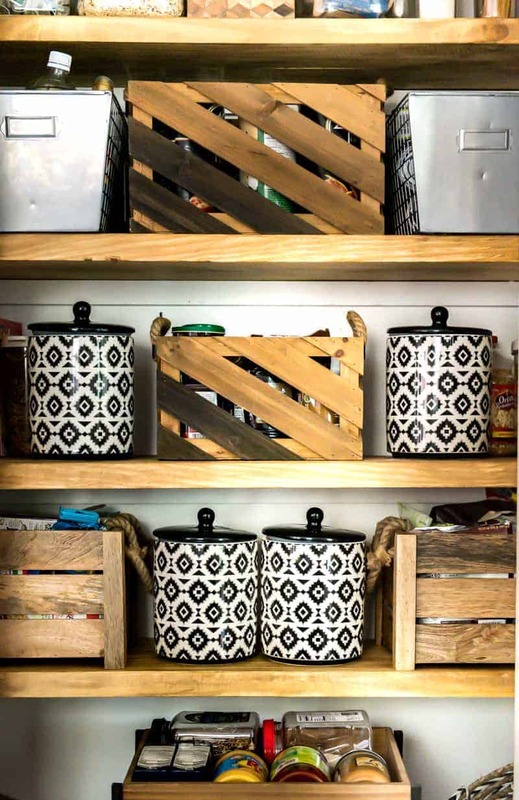 I’m definitely inspired to work on my disastrous pantry now. Tuesday Morning always has the best deals. Thanks for the ideas. Wow! What a difference. 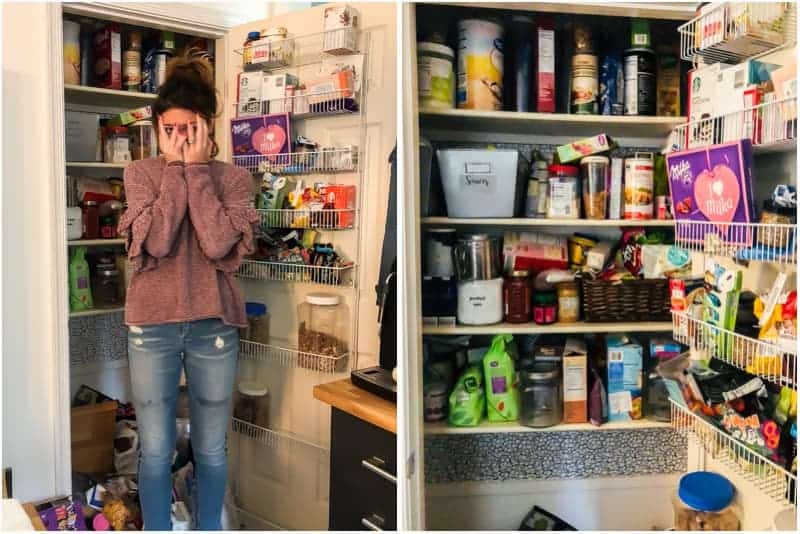 I like your new pantry very much. Good for you! 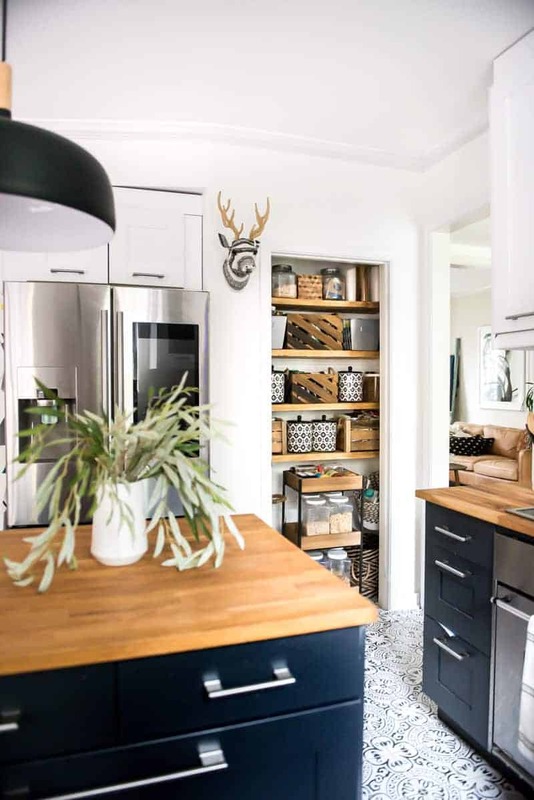 Did Everything in the old pantry fit in the newly renovated pantry? I purged a lot of unnecessary things and left the things I use every day. Yes, it fits everything I need! :-) Loving my new organized space! Awesome idea! 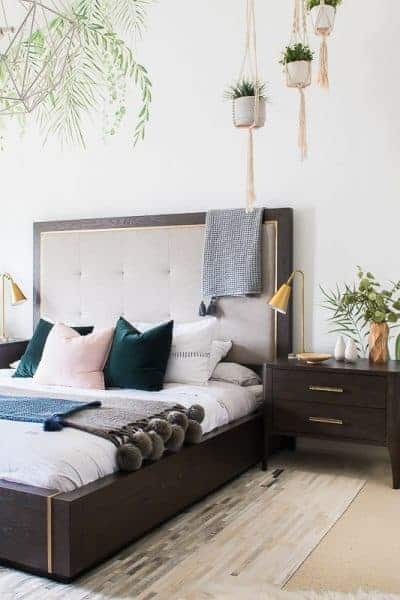 What kind of wood do you look for and any tips on how to find cheap wood the same way you do?